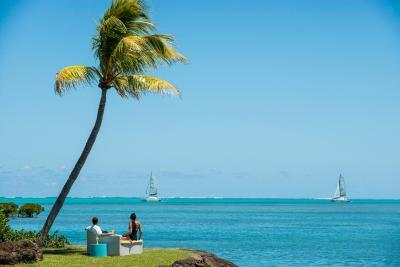 Lock in a great price for Four Seasons Resort Mauritius at Anahita – rated 9.1 by recent guests! Just everything was perfect & InShaa Allah will have another visit to four seasons..
very large villa we got... with private beach. free transportation to a nearby island with super nice Four Seasons private beach, equipped with clean bathrooms, food and towel, as well as friendly staff. Free bike rental is very nice. 13 of us (adults and kits) got our own bikes to ride around the resort during our stay Free access to the golf course nearby. Top notch services, living up to the name of Four Seasons.
. Amazing decoration . Professional staff. . Fantastic veiw . Romantic villa . Yammy food either at resturant or in villa dining. . Great Spa. . Free shattle (boot) to activity islend. . Free bicycle and you can keep it infront of your villa. . Fast check in and check out. . Very clean. . Fast service. Actually its hard to mention every single thing but in general this the best Resort / hotel i have been visited ever. The staff are very nice, cooperative and there job is to make your wishes come true. Everything about the resort was fantastic. Food in all restaurants was delicious. Kids club had a lot of varieties and the staff there were very kind. 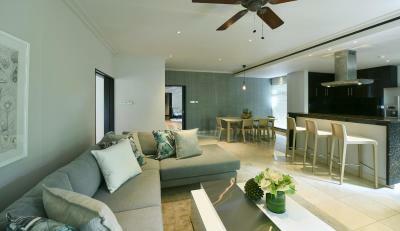 Villas are clean, comfortable, and private. The stay was exceptional. 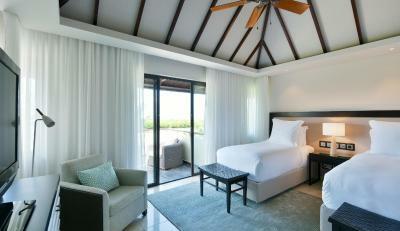 My room was mangrove room, and I asked the reception to upgrade to ocean view then they upgraded for free. 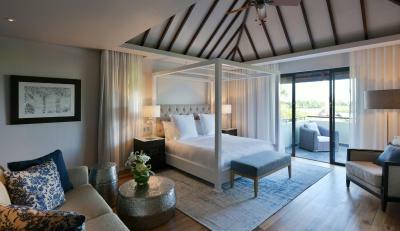 It’s the best resort I stayed in Anahita and maradiva but the four seasons is the number one. You can see the Four Seasons quality in everything. It was really great experience. The staff were very friendly. We only had one situation where someone was a bit rude, but overall, very friendly staff. The italian restaurant at the resort was so good and very underrated. 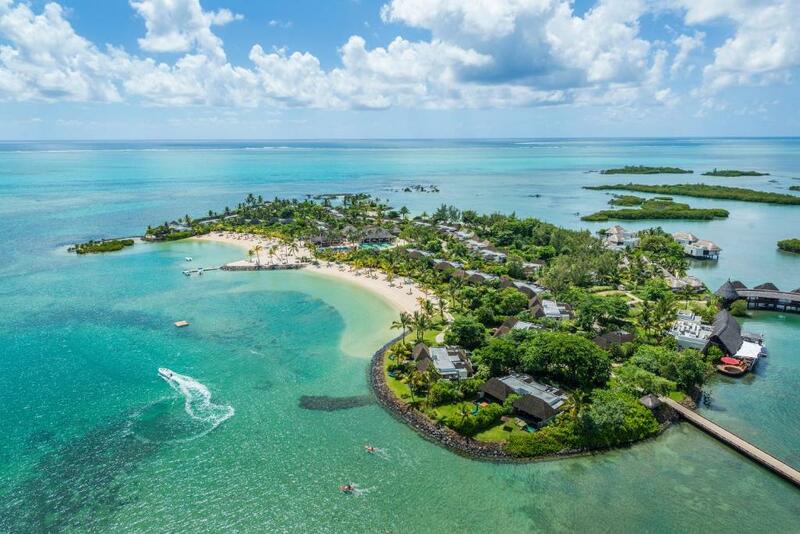 Four Seasons Resort Mauritius at Anahita This rating is a reflection of how the property compares to the industry standard when it comes to price, facilities and services available. It's based on a self-evaluation by the property. Use this rating to help choose your stay! One of our top picks in Trou d'Eau Douce.Surrounded by the tropical lush gardens and the crystalline waters of the Indian Ocean, the Four Seasons Resort Mauritius includes 4 pools. 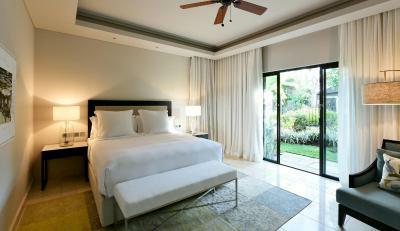 The resort also provides complimentary use of the golf course designed by Ernie Els. 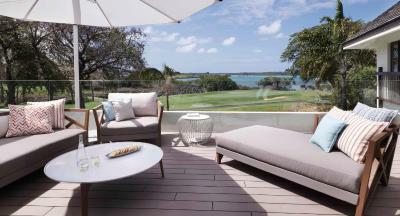 The Four Seasons Resort Mauritius at Anahita features elegantly decorated villas with private gardens. All of the villas have a TV with a DVD player and an iPod/iPhone docking station. 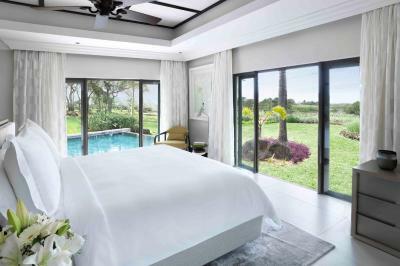 Some of the rooms also include a private pool. 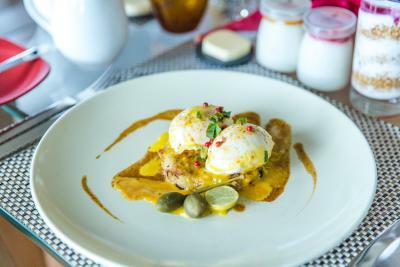 The on-site restaurant serves a variety of dishes, mixing the local tradition and fresh fish with continental classics. Cooking classes with the resort’s chefs are also available. 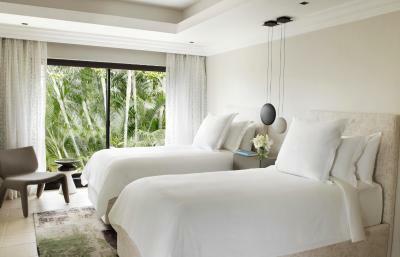 Guests can wake up and enjoy a relaxing yoga session, or head to the spa center for a massage or a beauty treatment. 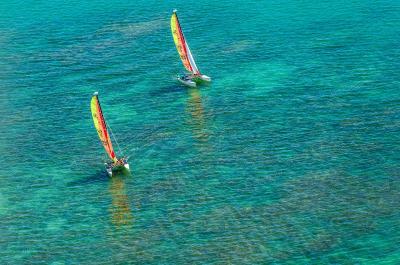 Daily snorkeling excursions are also organized by the staff. 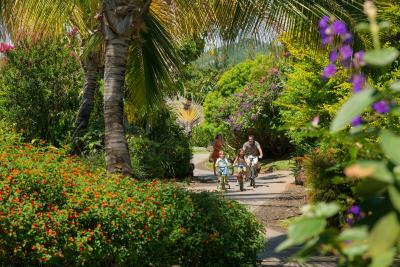 The city of Bel Air is 2 miles away, and central Port Louis is 30 miles from the resort. 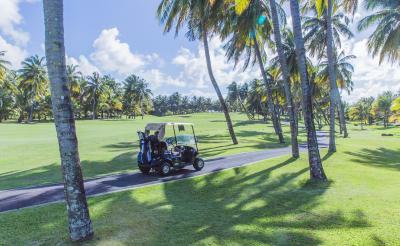 Sir Seewoosagur Ramgoolam International Airport is 21 miles from the property, and a shuttle service can be arranged upon request. 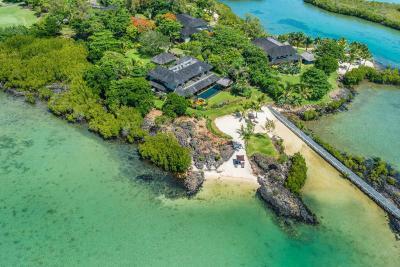 This property also has one of the top-rated locations in Trou d'Eau Douce! Guests are happier about it compared to other properties in the area. 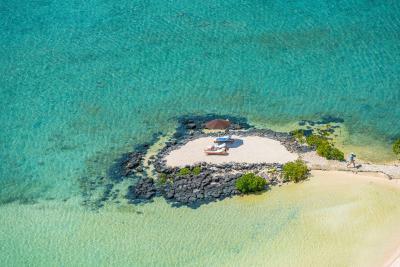 When would you like to stay at Four Seasons Resort Mauritius at Anahita? 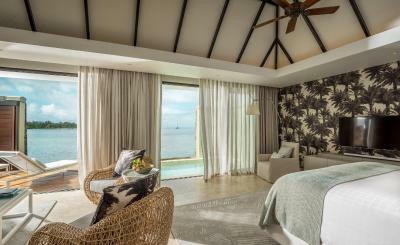 Featuring direct access to the tranquil waters of the lagoon, this villa is elegantly decorated, mixing modern and local styles. It has an outdoor living and dining area, and the bathroom has a bathtub and shower. Modern facilities include a TV with DVD player, and an iPod/iPhone docking station. 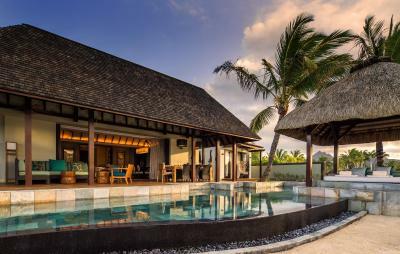 On a private island, the Beach Villa is set along the coast, and features a private plunge pool surrounded by a lush garden. It is luxuriously decorated mixing modern and local styles, and comes equipped with a TV with DVD player, and an iPod/iPhone docking station. 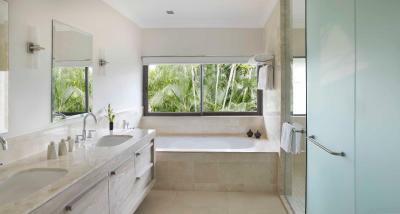 Featuring a covered patio and a private plunge pool, this spacious villa is surrounded by lush vegetation. 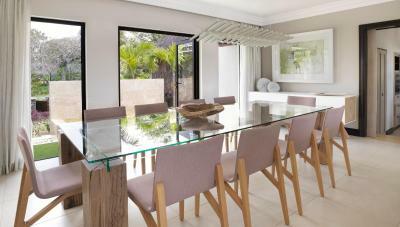 It is luxuriously decorated mixing modern and local styles, and has an outdoor living area. 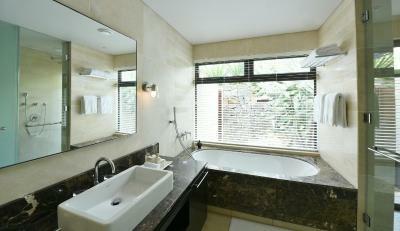 Facilities include a TV with DVD player and an iPod/iPhone docking station, and the bathroom has a bathtub and shower. Please note that the price is based on 2 guests. Maximum occupancy is 4 and extra charges apply (see Hotel Policies). Please note that the price is based on 2 guests. Maximum occupancy is 6 and extra charges apply (see Hotel Policies). 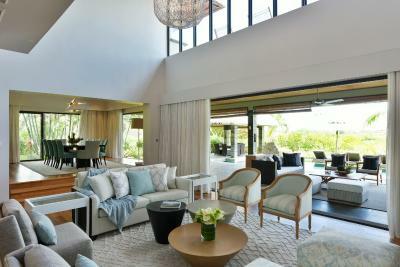 Surrounded by lush vegetation, this large villa features an outdoor living area. 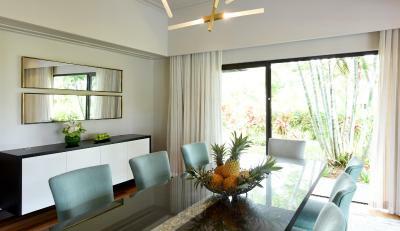 It is elegantly decorated mixing modern and local styles. Please note that the price is based on 2 guests. Maximum occupancy is 8 and extra charges apply (see Hotel Policies). 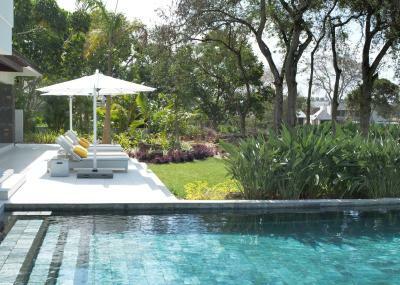 Featuring a private pool surrounded by a lush garden, this villa offers views of the mangroves, and is elegantly decorated mixing modern and local styles. 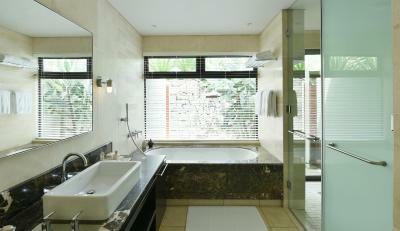 It has an outdoor living and dining area, and the bathroom has a bathtub and shower. Facilities include a TV with DVD player, and an iPod/iPhone docking station. 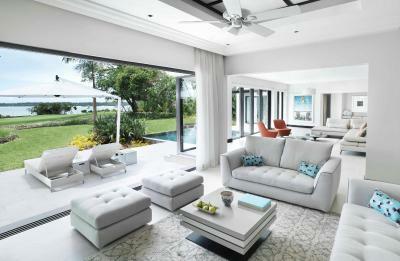 This villa features air conditioning, patio and tile/marble floor. 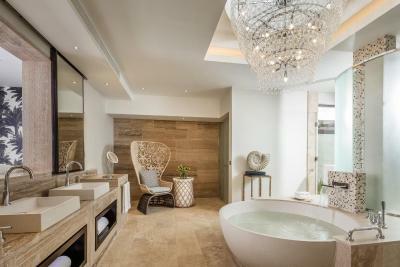 This villa has air conditioning, bathrobe and tile/marble floor. This villa features a private pool, bathrobe and patio. Rooms are 149 square yards. Rooms are 451 square yards. Rooms are 772 square yards. Rooms are 835 square yards. Rooms are 510 square yards. Rooms are 212 square yards. 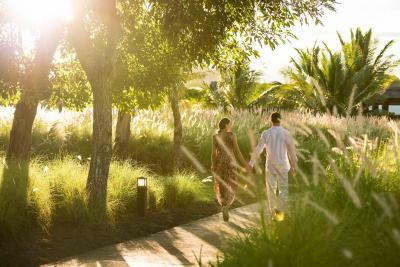 House Rules Four Seasons Resort Mauritius at Anahita takes special requests – add in the next step! One child from 5 to 12 years is charged EUR 50 per person per night when using existing beds. One older child or adult is charged EUR 100 per person per night when using existing beds. 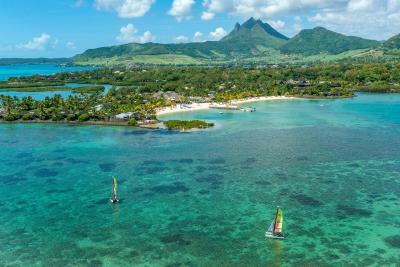 Four Seasons Resort Mauritius at Anahita accepts these cards and reserves the right to temporarily hold an amount prior to arrival. The mandatory Christmas Eve gala dinner on 24 December 2017 costs EUR 263 per adult and EUR 132 per child (5 to 12 years). The mandatory New Year's Eve gala dinner on 31 December 2017 costs EUR 468 per adult and EUR 234 per child (5 to 12 years). Furniture in the villa are not safe. 2 kids got bad scratch by the bad design of the chair in the villa. In the resort area, the signage can be improved. Very easy to loose direction when we bike around. Service by far was what I was most impressed by. Lots of bugs and lizards. Poor management : they charge us about 20000 rs just because me and my wife reserved dinner on 25 dec ( Christmas) they said its vestival fixed price for all villas without notify us , usually we Sign on bill when we eat but to see the price but the waiter tell us that their is no extra charge except for soda and tea and wevsign on it only . Upon checkout they show us that huge amount. We ask the manager he told us this is booking problem they should inform you !!!! This is i think bad manegment the guest shoul be aware for any extra expense especially if it’s unusual. Really disappointed and the total trip not value worthed really overpriced. I would not comeback to this property again Finally I encourage all those who booked in this resort to double and triple check on your bill before you got robbed. The location is far from Port Lois, the resort has no shuttle to it or grand Bay.the resort also lacks entertainment. So I didn't see or get to know Mauritius. Snorkelling not so good as reef is dying.